Stay at this Hampton, New Hampshire hotel offering convenient access to Hampton Beach, Lee USA Speedway and a variety of corporate locations. Whether traveling to southern coastal New Hampshire for business or pleasure, the Best Western Plus The Inn at Hampton is sure to offer the best in accommodations, amenities and customer service. This Hampton area hotel boasts 71 well-appointed guest rooms and suites, each featuring cable satellite television and free wireless high-speed Internet access. Start the morning off with a complimentary full breakfast buffet before enjoying an array of other hotel amenities including an indoor heated swimming pool, exercise facility, game room, full business services and meeting/banquet facilities accommodating up to 500. 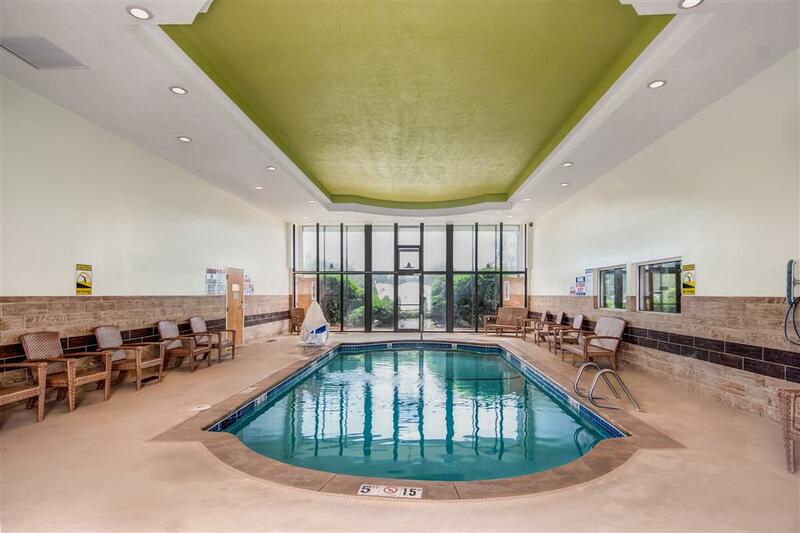 The Best Western Plus The Inn at Hampton is conveniently located less than ten miles from a variety of local attractions including the Hampton Beach, Apple Crest Orchards where guests can pick their own fruit and Water Country Water Park. Enjoy an array of year round events such as concerts at the Casino Ballroom venue, the Fall Foliage Festival and the Seafood Festival. Traveling on business? The hotel is less than eight miles from Lilly/Information, Foss, Lindt Chocolate, Seabrook Station Nuclear Power Plant and Unitil. Guests will also enjoy a short 45 mile drive into Boston, Massachusetts to see the sights of another historic east coast city. The Friendly, helpful staff at the Best Western Plus The Inn at Hampton is ready to ensure a fun-filled memorable stay in Hampton, New Hampshire. Make a reservation today and save! Enjoy your stay. Snow skiing - 80.00 mile(s) from Snow Skiing, North Conway: Mountains, Ski Resort, etc. Weightlifting - Weight lifting equipment Included within Universal Gym set; no free weights. Kittery Outlets,15.00 mile(s) from Kittery Outlets, Outlet Mall featuring over 120 stores. Crossings at Fox Run,14.00 mile(s) from Crossings at Fox Run, Shopping plaza featuring Best Buy , Barnes & Noble, Old Navy, Kohl's , Regal Cinemas and many more. Walgreen's Pharmacy,0.4 mile(s) from Walgreen's Pharmacy, Pharmacy, medications, general items. CVS,1.2 mile(s) from CVS, Pharmacy, medications, general items. Fox Run Mall,14.00 mile(s) from Fox Run Mall, Mall with over 80 tax-free stores to choose from. Strawberry Banke Museum,11.00 mile(s) from Strawberry Banke Museum, Historical Museum - 10-acre site - 37 Houses (1695 - 1954) - Gardens - Collections (over 1 million artifacts) - Events - Ice Skating Children 5-17: $9 Adults $19.50 Family $48 (prices as of Jan 2019) www.